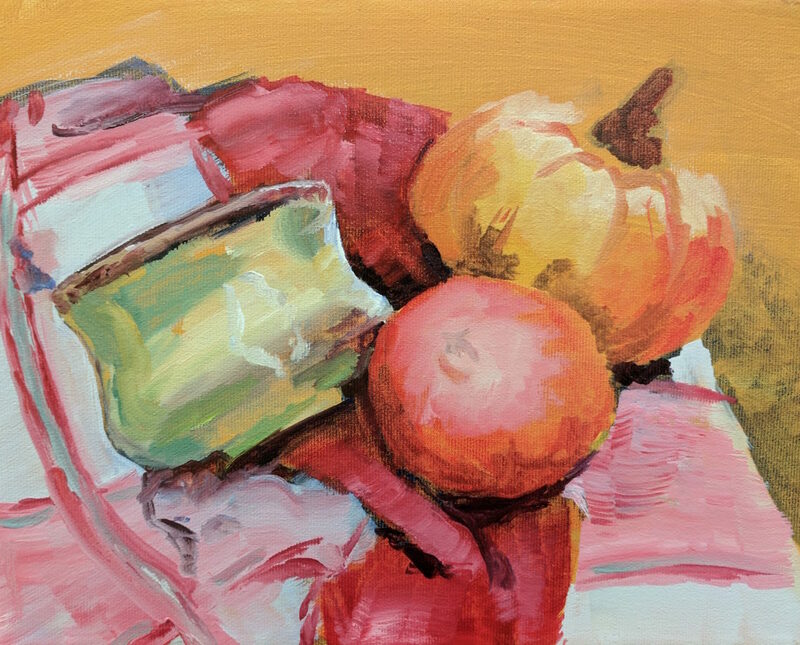 My painting from the October 3 Oil Painting Class with Connie Melnik. I’m taking art classes here and there to push my comfort zone and take some of the pressure off what I “should” be doing to build a body of work as an artist. It’s a good chance to just breathe (and paint). In that vein, I signed up for a Waterloo-based oil painting class and determined that I’d go with the flow and see where that takes me. Painting a thin base layer of acrylic onto our canvas to give us a coloured ground (or background), which only takes about 10 minutes to dry. Setting out palette paper and choosing our colours. 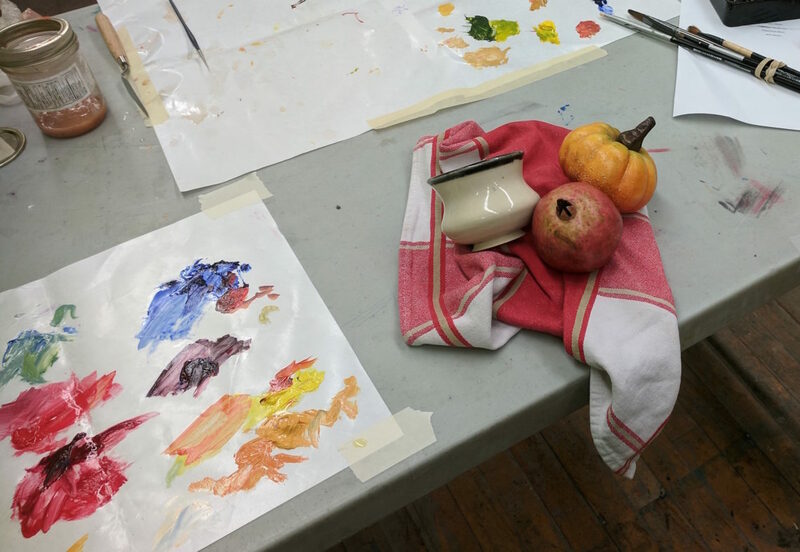 My messy oil painting palette paper, plus still life. More importantly, I’m painting in a lovely and encouraging environment, and not worrying too much about the end result. In my experience, that’s the most effective way to get art done. Membership gets you a discount on all classes. It’s $30 for an individual membership, which you can buy online, BUT you need to call in to 519-886-4577 during business hours to get your discount code. Most free-to-park lots in Uptown Waterloo (including the one next to BFA) are 2 hours only. If your class goes for 3 hours, make sure to download the Honk Mobile app in advance so you can pay to park for the whole class! Or check out my October post on art openings in Kitchener-Waterloo to learn about the BFA juried show that’s opening on Thursday, October 12.